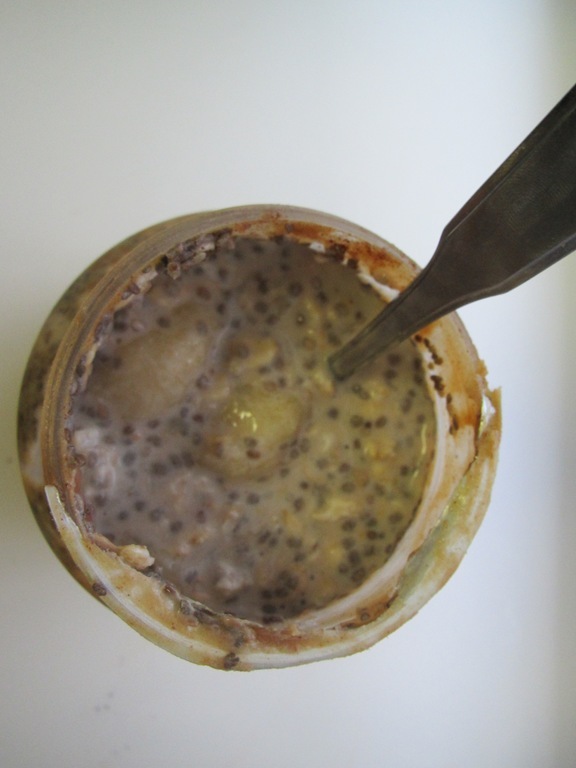 I have followed and enjoyed many of the foodie blogger trends (overnight oats, the green monster smoothie) and so I didn’t see why ‘OIAJ’ also known as Overnight Oats in a Jar would be any different. 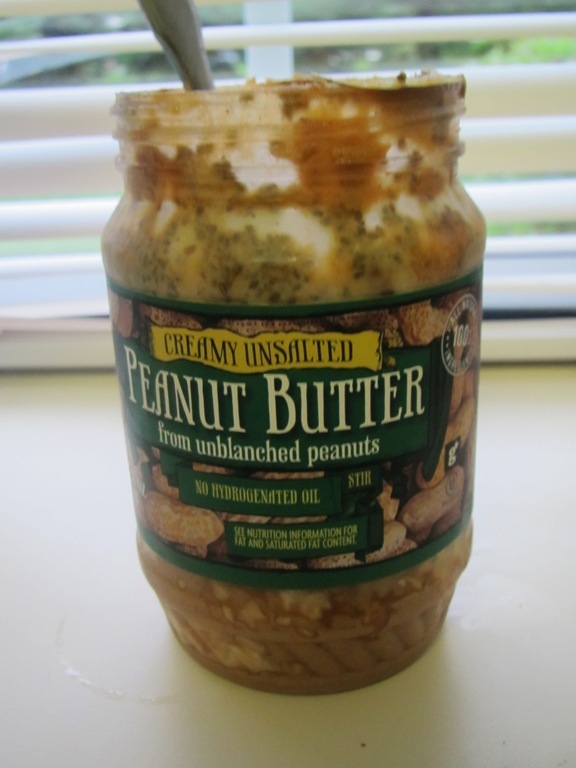 I don’t typically buy my nut butters in a jar (or in this case a plastic container), but I had this TJ’s version (which is amazing by the way) left over from some baking. When I noticed that its contents were looking pretty slim, I figured it was time to turn it into breakfast. 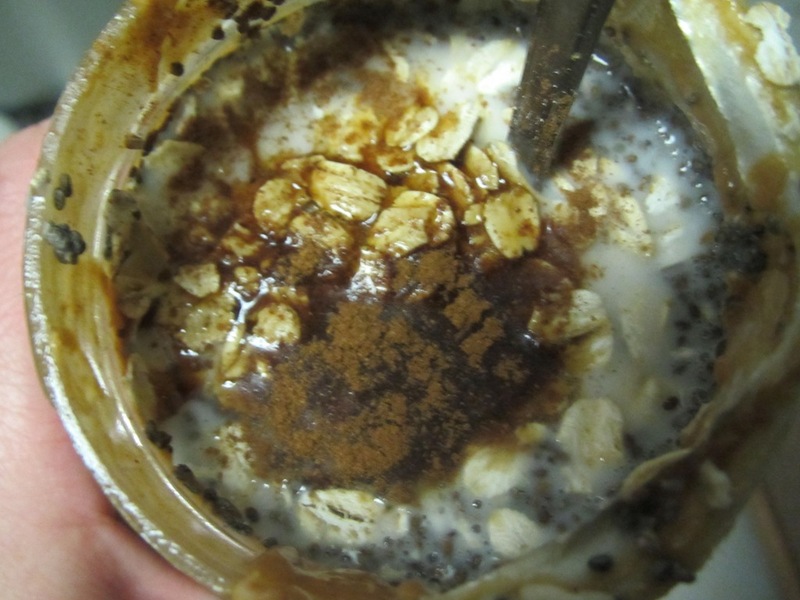 Last night, I followed my usual overnight oats recipe adding all of the ingredients to the jar and stirring. It fit perfectly, just to the top of the jar. 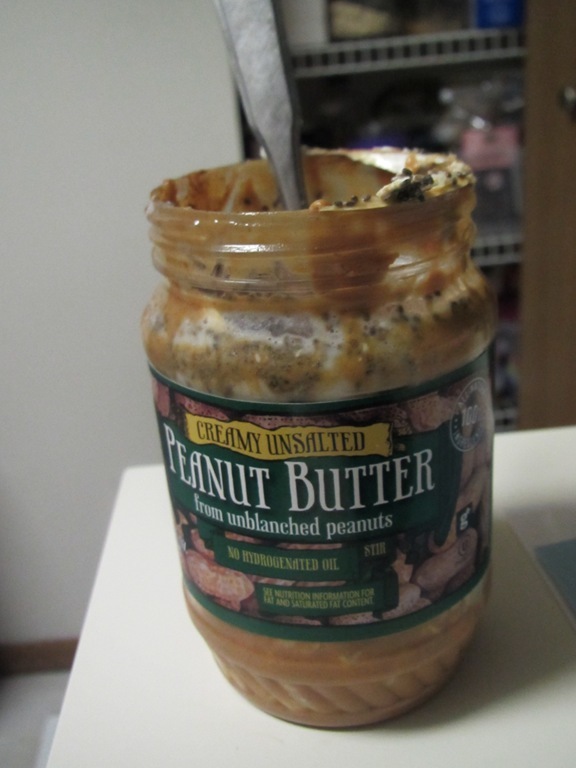 I put the jar back into the fridge and went to sleep dreaming of a peanut buttery goodness. This morning, I woke up and went straight to the fridge for a taste. OIAJ is everything that you love about overnight oats, but with each bit, your spoon scraps the side of the peanut butter jar adding hints of deliciousness. 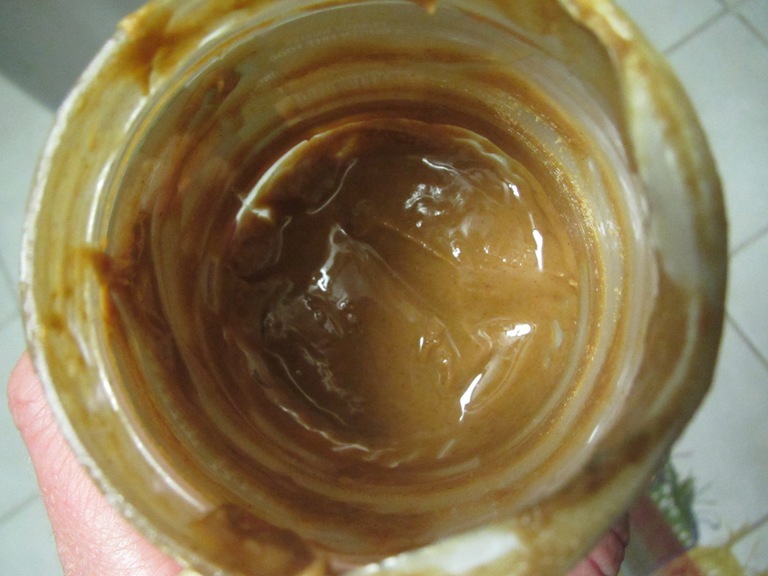 Even if you are the type who is able keep your peanut butter jar super clean (you know who you are…the scrape the sides for one last taste before you put the jar away type), there is still the surprise chunk of flavor at the bottom. -Place all ingredients in jar and stir. -In the morning, stir again and enjoy! 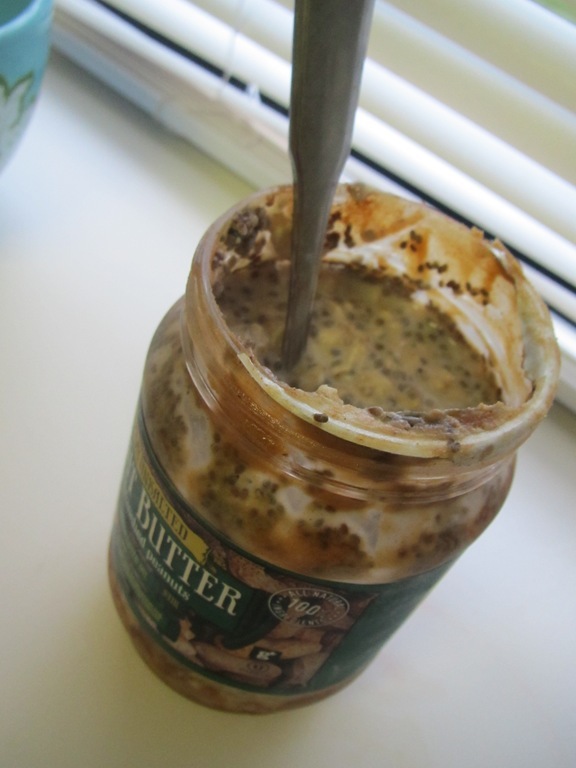 ***This works GREAT if you are looking for a healthy breakfast to go! 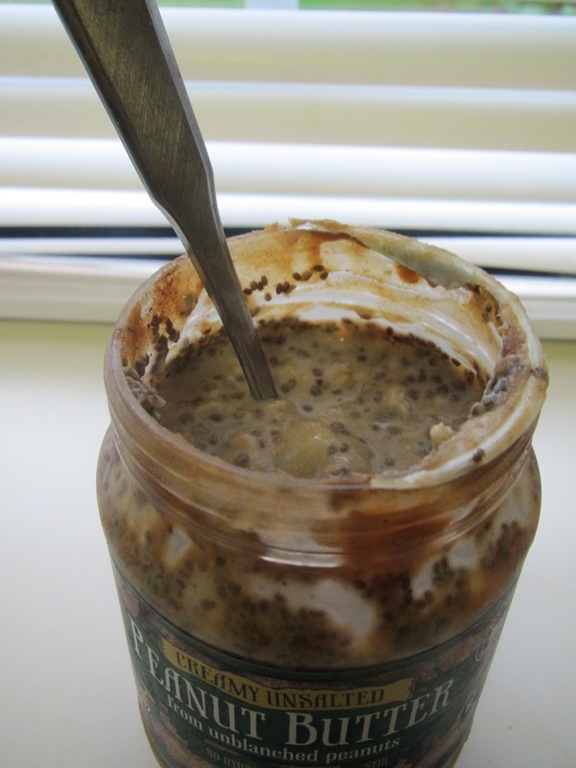 Looks gross…tastes AMAZING. Thank you! I just fixed mine. 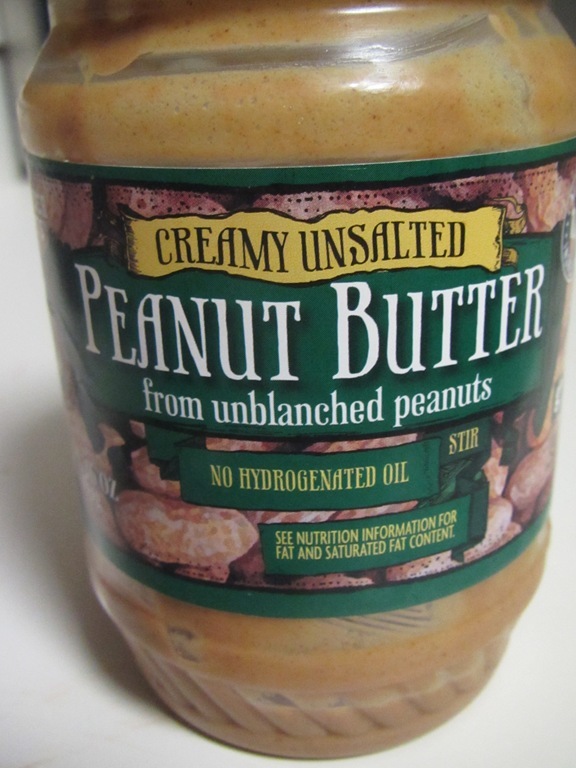 I’m a peanut butter fan so I can’t wait until tomorrow. This was just perfect to do. I’m tired, I wanted to do something quick, there isn’t any quicker than this. Thanks. Any time! I hope you enjoy! 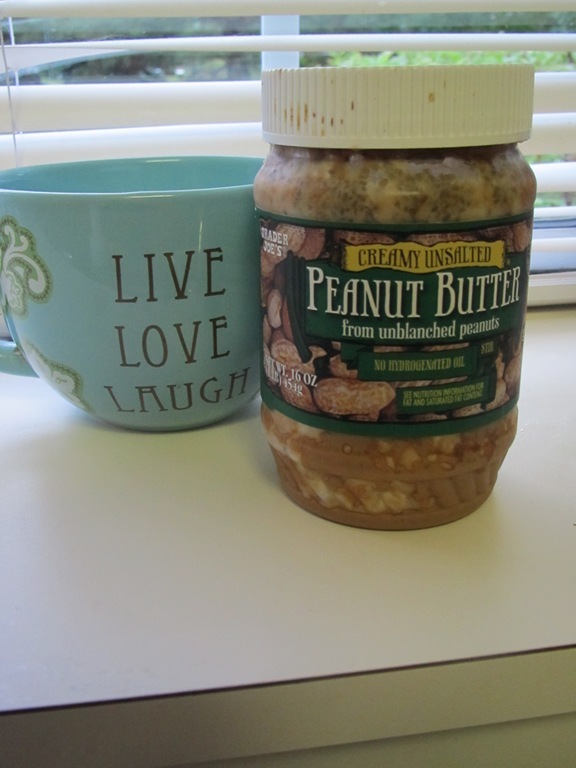 I love a tasty and easy breakfast and this is one of my faves!